Land Rover BAR has once again strengthened its sailing team with the addition of Xabi Fernández. The Spanish sailor has huge depth of experience, with a gold and silver medal in the Olympic 49er (with Iker Martinez) from the 2004 and 2008 Games, along with three 49er World Championship titles. He has been just as successful in the rather different discipline of long distance racing offshore, with a second place in the Barcelona World Race ,double-handed non-stop round the world race (also with Iker Martinez) and a podium finish in the Volvo Ocean Race. Fernández also has experience of the America's Cup, having raced with Luna Rossa in the 34th edition in San Francisco. Jono Macbeth, Sailing Team Manager commented, "Xabi is a great signing for us, he brings with him huge experience across a range of the sport's disciplines and I have no doubt that he will be a great asset to the team." 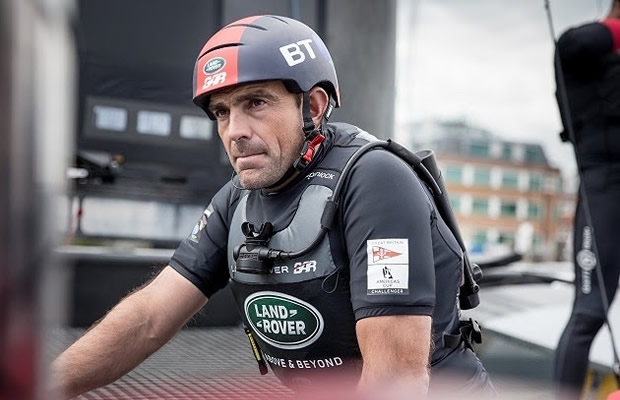 Fernández commented, "Joining the Land Rover BAR America's Cup team is a huge challenge and an opportunity that I am really looking forward to; sailing with Ben Ainslie and his team means a lot to any sailor in the world. Now, after arriving in Portsmouth and seeing the base, I'm even more impressed. I've been part of a lot of big campaigns and I've never seen a set up like this. Joining a winning team for this 35th Cup will give me the chance to stay at the top of sailing sport and technology." Xabi Fernández began sailing at the age of seven, inspired by his parents. His first boat was an Optimist, before moving into the Vaurien double-handed junior dinghy with his brother until he was 17. After that he moved in the Olympic 470 for a while, before joining Iker Martinez in the Olympic 49er in 1998. It was this boat that allowed Fernández to make the jump to a professional sailing career, after winning world championships and Olympic gold.